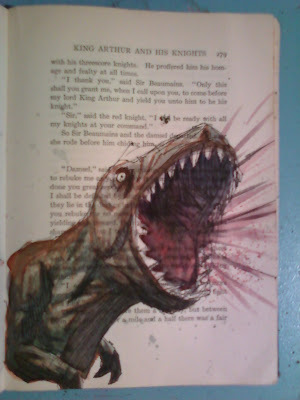 I drew these while watching Jurassic Park a while ago. I just finished watercoloring them. I made a new video. It is called Reddy. 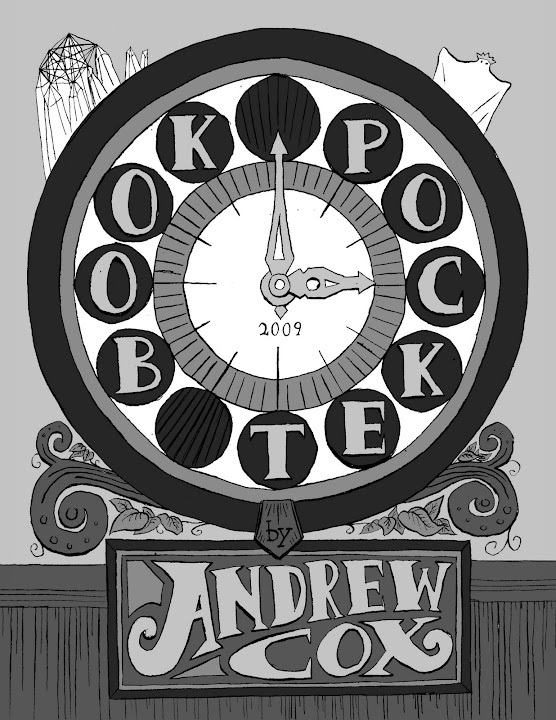 Pocket Book 3 Now Available! 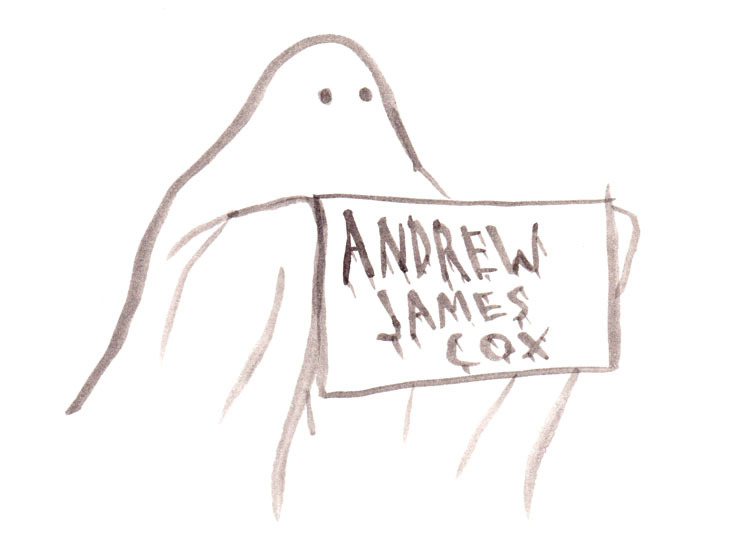 The third volume in Andrew James Cox' annual mini comic series is now available for purchase! 36 pages of hilarity and awesomeness. 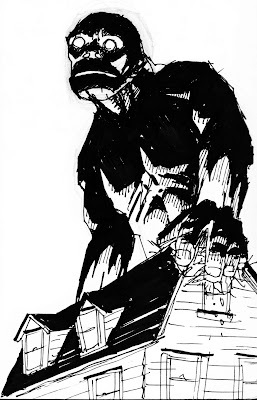 Drawings vary from disarmingly simple to darkly intricate, and are often coupled with droll text that rests somewhere between ambiguously poetic and bafflingly random. 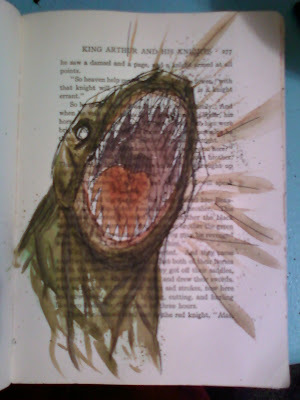 I drew it at the laundromat today, which was extremely hot. I sweated the whole time I was there, even when I was drinking a cold Kern's Nectar Mango juice. I'll let you know when Pocket Book 3 is available. 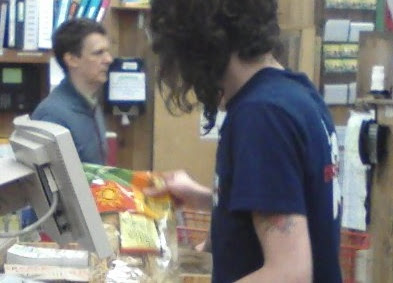 Last night while shopping for groceries at the perennially crowded Trader Joe's in Silverlake I looked up and saw Michel Gondry. I don't usually get starstruck, but I got pretty nervous around this guy. I wanted to talk to him, but he was with his woman and I didn't want to draw attention to him, because it looked like I was the only one to recognize him. So I passed them a few more times around the store, then watched them check out while I waited in line. When he was passing toward the exit I snapped this pic with my camera. One day we will be friends.